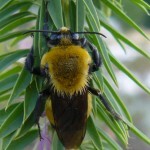 One of the joys in planting densely with shrubs and flowering plants is that you greatly enhance the environment for pollinators in your yard. 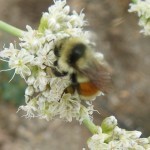 You will start to see more butterflies, honey bees, native bees, hummingbirds and other less well-know but equally fascinating pollinators like native wasps and flies. 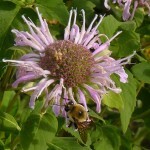 The best way to encourage native pollinators is to plant native plants, as the two have co-evolved together. You can help the national effort to help recover declining Monarch Butterflies by planting the food needed by Monarch larvae–MIlkweeds. 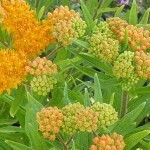 The three Milkweeds (Asclepias species) that we offer are pictured above. 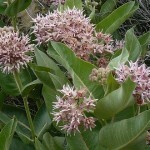 For more information on Monarch conservation efforts, see the Xerces Society http://www.xerces.org/. 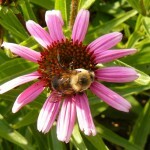 Plant all sorts of flowering plants to help Bumblebees, honeybees and other pollinators. 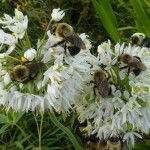 The three Idaho Natives shown above, Rocky Mountain Bee Plant, Nodding Onion, and Beebalm areespecially bee-friendly. 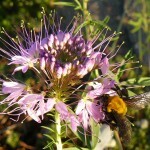 The US Forest Service has a lot more information on pollinators here and here.